Australian design firm, DKO has opened a new office in Ho Chi Minh City, Vietnam to manage a multitude of significant new commissions. This will be DKO’s first office ‘north of the equator’ and follows the opening of new offices in Auckland and Christchurch last year. The new DKO Vietnam office is managing major residential projects in both Ho Chi Minh City and Hanoi and a number of major masterplans. A prominent sculptural landmark on the city skyline, City Gardens, in Ho Chi Minh City will eventually have 960 apartments in total. With stage one complete, City Garden’s second phase branded ‘Promenade at City Garden’ will deliver 400 new apartments within the context of resort style luxe living. Currently under construction, the Promenade is expected to enhance the high density living experience with a cluster of two, up to 32 level towers, which will feature new facilities such as a 50 metre lap pool with swim up bar, expansive sun decks and tropical gardens. Further north in Hanoi, a new residential development, Newtatco is set to launch in April, 2016. A three tower apartment, entertainment and commercial development in Xuan Tao Ward, Bac Liem District, Newtatco will house approximately 2,365 people in 648 apartments over a built total floor area of 81.202 metres. 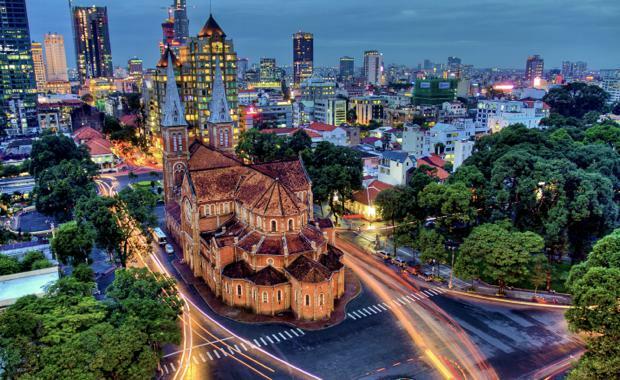 DKO also have several major competitions underway within the key urban precincts within Ho Chi Minh City and Hanoi. “Working in Asia, we believe we bring an Australian sense on how to respond to the environment and how we can add value to a project," DKO Principal Koos de Keijzer said. DKO currently has offices in Melbourne, Sydney, Auckland and Christchurch and employ 130 architects throughout Australia, New Zealand and Vietnam.